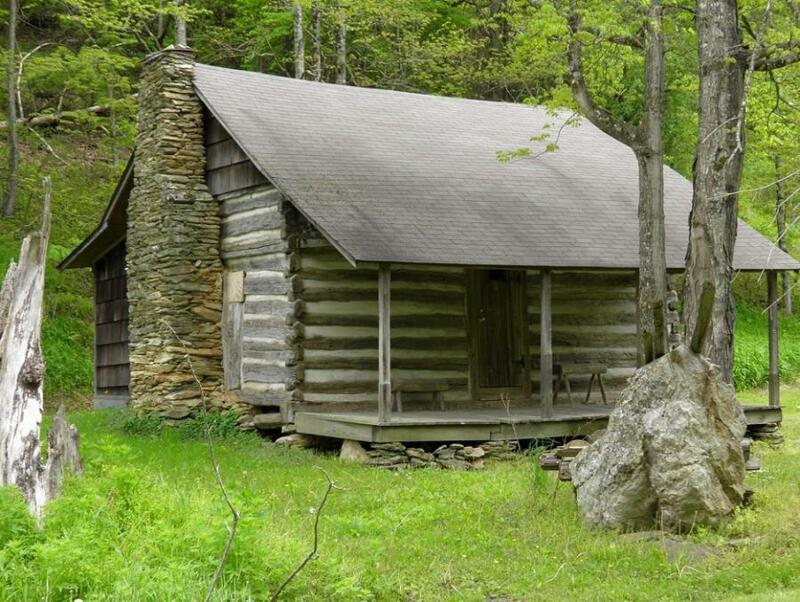 Many of our ancestors spent part or all of their lives in what can be described as a log cabin. It may have been a simple, one-room style or could have been quite large. When you find that family members or family branches moved from the east coast towards the Ohio valley or to Kentucky or to the Great Lakes or into the Deep South or later into the far western region, you can better realize, their life was far more rugged. Americans moving West (west at the time may have been Ohio, or Tennessee) found an untouched wilderness, filled with pristine forests. They built their homes out of logs. These log cabins were solid, long lasting, and served them well. Where there was no great forest, then you saw the dried mud homes in the great plains until timber could be brought to the area for homes. Life was rustic and simple. Heat was provided by an open fireplace, where they also cooked their meals. No air conditioning in the summer, they just opened the windows. No indoor plumbing, just a well and pump that constructed and an outhouse behind the log cabin, just like was done in the most homes back east. 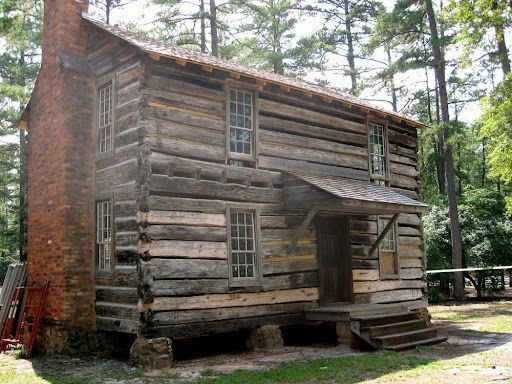 June 25th is ‘Log Cabin Day’ which helps remind everyone and to appreciate the history and significance of log cabins and of our ancestor’s early housing existence. Take some time and look through old family photos again, focusing on the home the members on the family tree lived in. Check family diaries, journals or letters and see if there were any clues. This is especially true if family members had moved in the late 1790s, into the early 1800s or after the Civil War of 1860s to other isolated regions – the wilderness. A reminder, do not just think out west, there was isolated, wilderness areas in the late 1800s and into early 1900s in Florida, where log style homes were constructed. 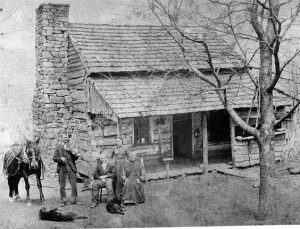 Photos: 1900-Ozarks cabin in Arkansas; 1750s two-story cabin; 1800s log cabin and family in Kentucky. How Did Our Ancestors Survive Winter?